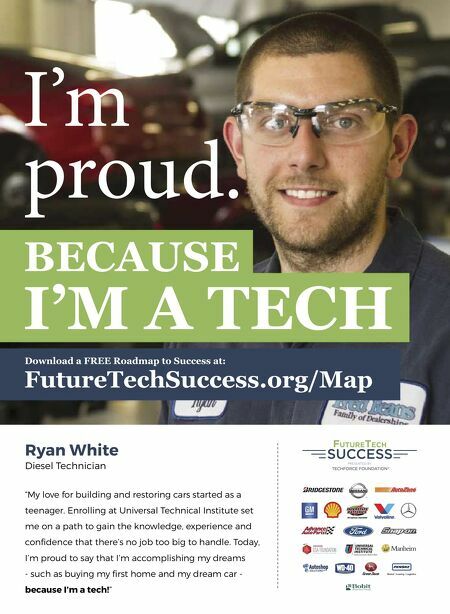 Ryan White Diesel Technician "My love for building and restoring cars started as a teenager. Enrolling at Universal Technical Institute set me on a path to gain the knowledge, experience and confidence that there's no job too big to handle. Today, I'm proud to say that I'm accomplishing my dreams - such as buying my first home and my dream car - because I'm a tech!"